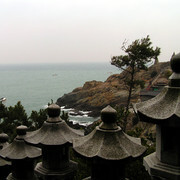 Busan, on South Korea’s southeastern coast, is the country’s largest sea port. 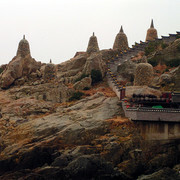 There are great views from the Busan Tower, and the city’s attractions include Pomosa Temple, Kumjongsansong Fortress and the large, busy fish market. 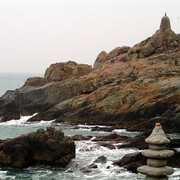 The nearby coast boasts two major beach resorts, Haeundae and Songjong. 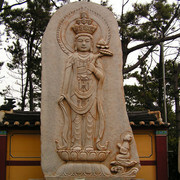 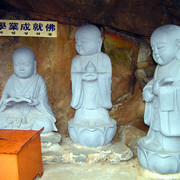 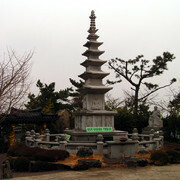 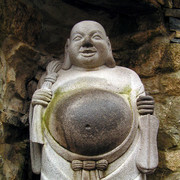 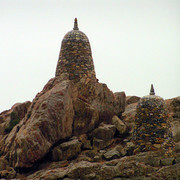 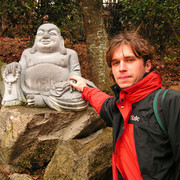 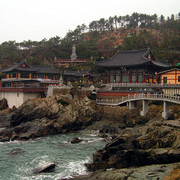 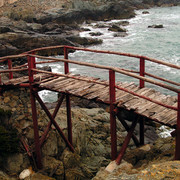 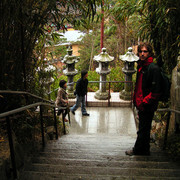 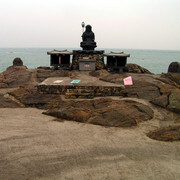 Haedong Yonggunsa Temple is located directly on the sea shore. 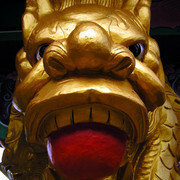 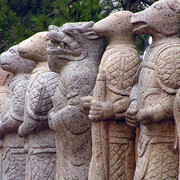 The main temple area had bright shiny gold statues of pigs, a laughing golden Buddha, a dragon statue surrounded by hundreds of small buddha ornaments. 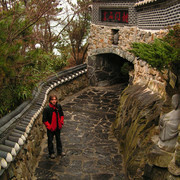 There are some colourful paintings on the outer walls of the main hall.